Preheat the oven to 350°. Peel potatoes and boil in large pot of water until tender. Drain potatoes and blend well with butter, sour cream, salt/pepper and 1 1/2 cups of the cheese. Add as much of the milk as necessary to make the consistency creamy. 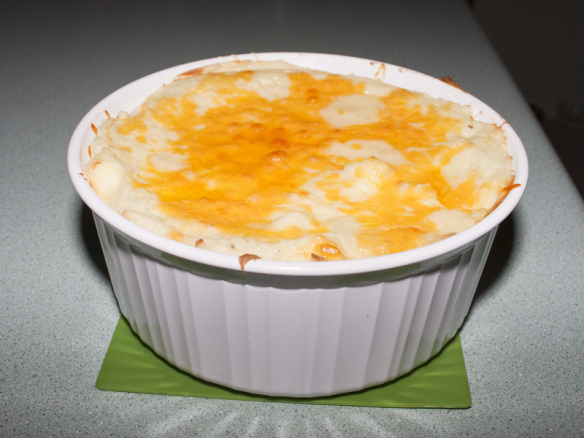 Transfer potatoes to a baking dish and sprinkle with remaining 1/2 cup of cheese. Bake at 350° for 20 minutes until cheese is bubbly around the edges.